I was brought up in a home where there was an unwritten “one meal fits all” policy and you ate what you were given. I was more than happy with the situation because everything I was given was totally delicious. Old habits die hard though, so even though there are only two of us to cook for, we eat what we’re given and one meal fits and aims to please all. However, when either David or I are home and dining alone, all bets are off. That said, you can almost put money on David eating a pie (homemade of course!) whereas I’m more than likely to eat something with zucchini or eggplant, two of David’s food nemeses. Zucchini is a vegetable I’ve really grown into and really grown to love. I can’t get enough of it! I love cooking with it, baking with it and I even have it in my morning oats! 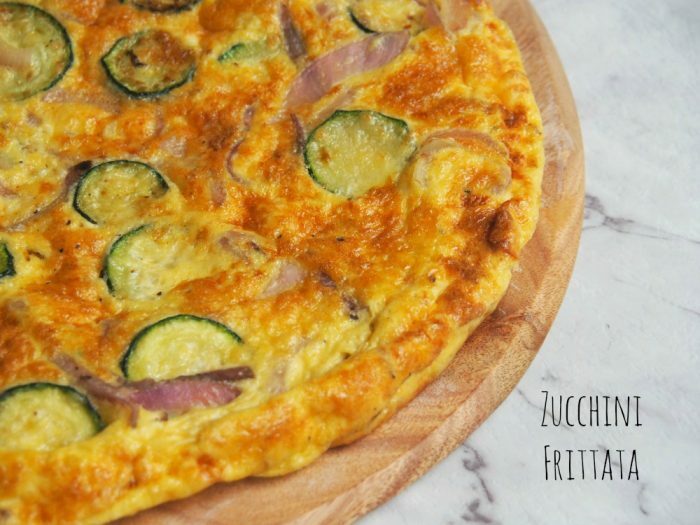 This five ingredient frittata is one of my favourites, because it uses a handful of fridge and pantry staples, it’s quick, easy and really yummy. It’s delicious warm or cold making it great for picnics, packed lunches and winner dinners, just chuck some salad on the side. What’s not to love? 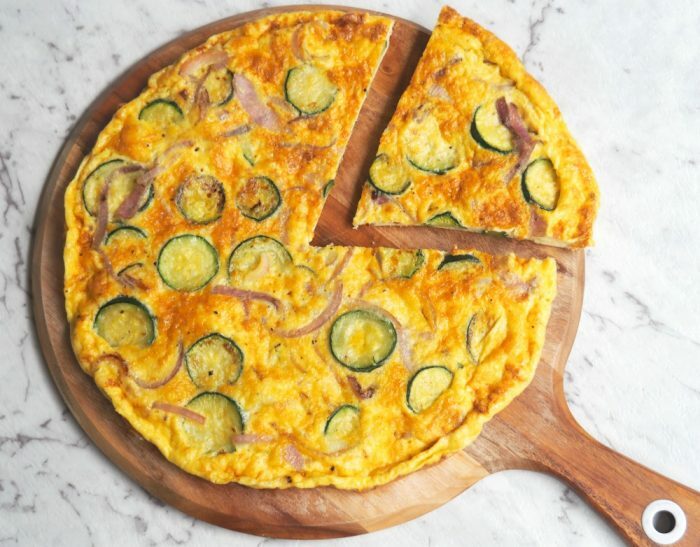 Do you have a “one meal fits all” policy in your house? What’s your food nemesis? Preheat grill on high. Heat oil in a large frying pan on medium heat. 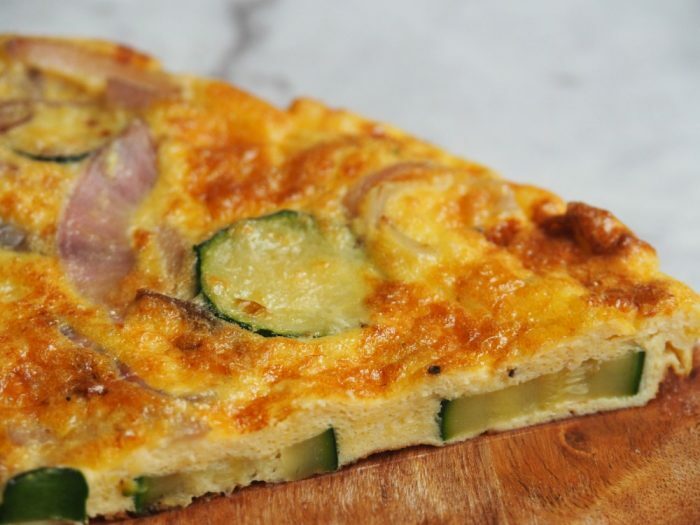 Cook onion and zucchini, stirring occasionally, for 5-8 minutes, until softened and golden. Transfer to a plate. Wipe the pan clean. Whisk eggs in a large bowl. Add cheese and zucchini mixture. Mix gently to combine and season well. Place the egg mixture in the same pan on medium heat, spreading to cover base of pan. Cook for 3-4 minutes, until just set underneath. Place under grill and cook for 2-3 minutes, until puffed and golden. TIP! Use a combination of grated mozzarella and tasty cheese, if you like. 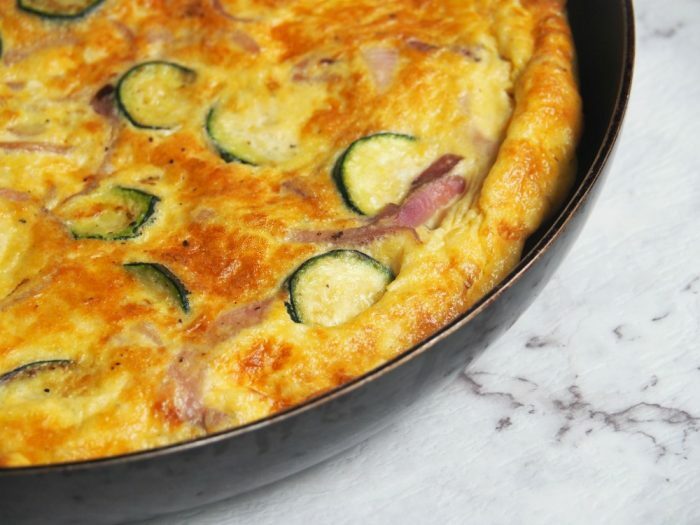 Note: If your frying pan doesn’t have a heatproof handle, just wrap the handle in several layers of foil to protect it during the grilling of the frittata.